I’ll be the first one to admit, I typically do everything in my power to not leave the 75201 through 75205 zip codes but on occasional I will make an exception. Enter, Bread Zeppelin. Although the name doesn’t begin to tell you what the sam hell it actually is, Bread Zeppelin is a fast casual chopped salad shop that offers their salads stuffed into bread pockets. Now, we aren’t talking pita bread, people. 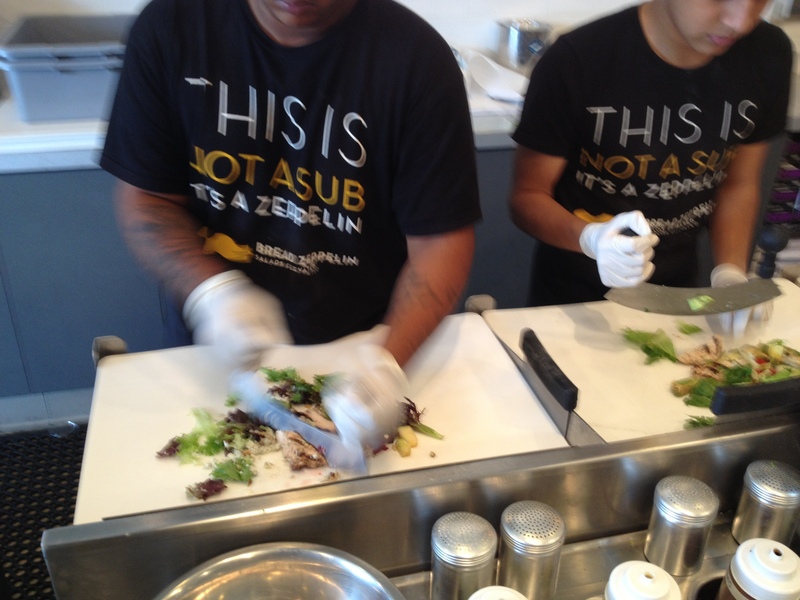 The bread they use are freshly toasted sub-like rolls that they gut in front of you then patiently and meticulously stuff whatever your salad creation is inside, also known as Zeppelin-ed. 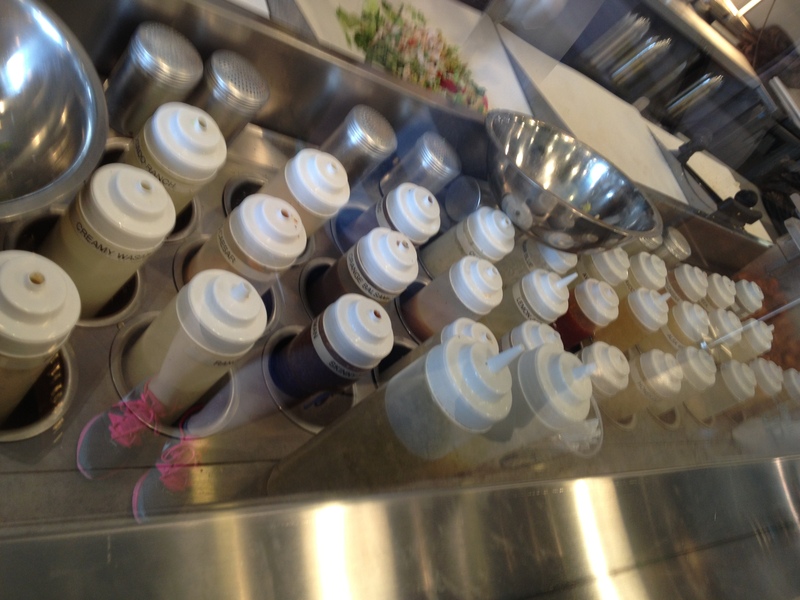 A large menu greets you upon entry and lists out their combinations. No pressure though, you can create whatever salad you want. An open-air refrigerator with buckets of fresh greens from spinach to kale, iceberg to arugula sits behind the counter as well as dozens of smaller tubs with various produce and other salad topping faves. Whether you take the easy route and order one of their menu salads or make your own hodgepodge, your salad gets all sliced up and dressed with one of the 30+ salad dressings Bread Zeppelin choose from. The staff works so hard on each sandwich, it is quite the process but the final result is a perfectly warm, fresh ingredient pocket of heaven. Seeing as the Zeppelin’s are stuffed to the brim with your salad, they are a little difficult to eat so be sure not to go here on a first date…you know, unless you’re into that kind of thing. Don’t fret, you can always get your salad in an actual bowl as well and lucky for you, the croutons are made of the insides of the Zeppelin bread! 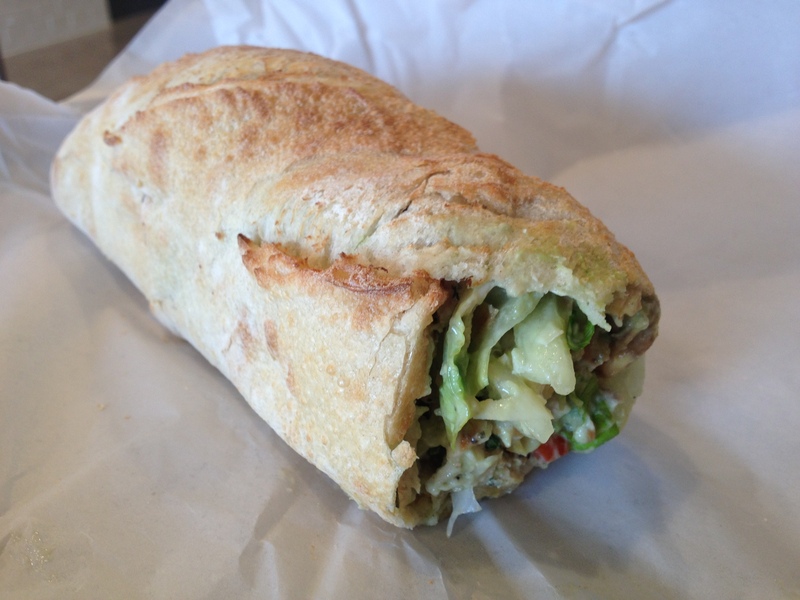 If you are in the neighborhood or just want a damn good sandwich, head over to Bread Zeppelin on North Macarthur Blvd. I can pretty much guarantee that you will enjoy your visit! Wow this is a very interesting concept. Maybe I will check it out sometime.